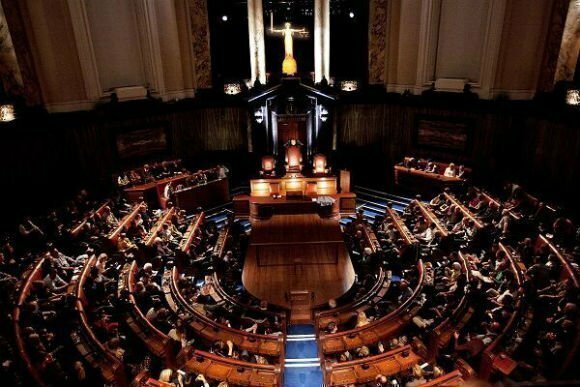 There's nothing quite like the magnificent London County Hall for drama, the ideal venue for an Agatha Christie crime story that has never lost its popularity. 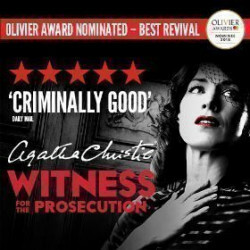 Welcome to Christie’s gripping story of justice, betrayal and passion, Witness for the Prosecution, played out in a remarkable courtroom-like setting that adds extra sizzle to this already sizzling sausage of a murder mystery. The Witness for the Prosecution began life as a short story called Traitor's Hands, published in a cheap weekly story magazine called Flynn's in 1925. 1933 saw the tale published in book form for the first time as Witness for the Prosecution, in a collection called The Hound of Death. What's the plot? Leonard Vole is arrested for the murder of Emily French, his wealthy older lover. French wasn't aware he was married, and made him her heir. When she dies in suspicious circumstances Vole's wife, Romaine, testifies as a witness for the prosecution, as part of a complex plan to get her husband freed. But circumstances ultimately reveal how Vole did actually kill French. 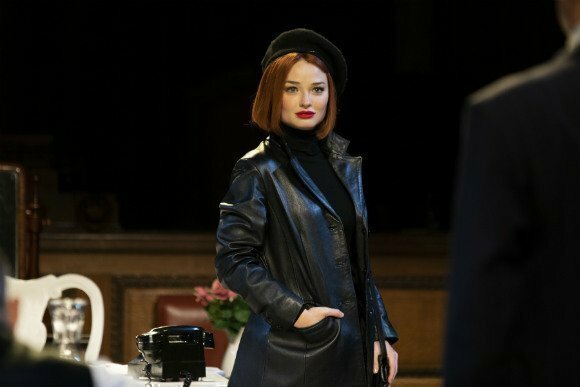 Vole's mistress, who only turns up at the end of the play, is about to be arrested for perjury along with Vole, when Romaine grabs a knife and... well, you'll have to come along and see what happens. 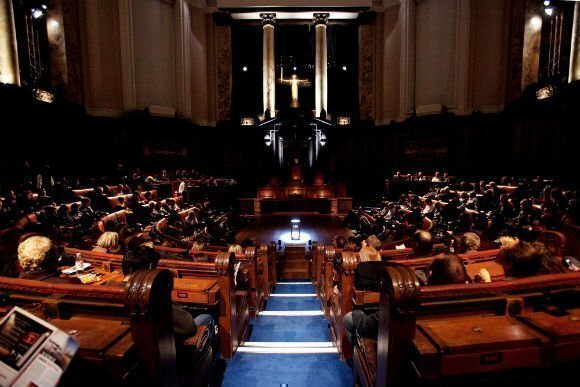 This is a landmark stage production and London County Hall, on the South Bank, is the perfect venue. Designed by architect Ralph Knott, it was under construction for 11 years before being opened by King George V and Queen Mary in 1922. 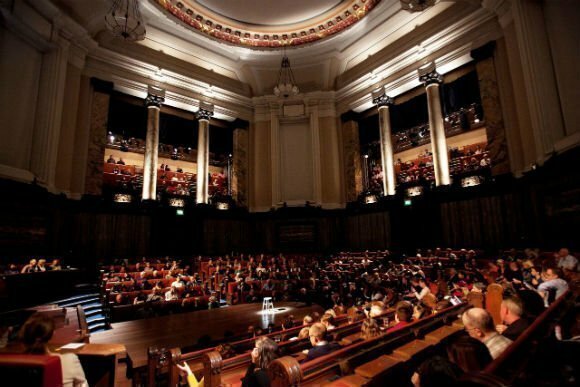 It was the HQ of the city's local government for many years, including the infamous GLC, and its unique octagonal chamber and four galleries overlooking it create an incredibly atmospheric setting for the action. 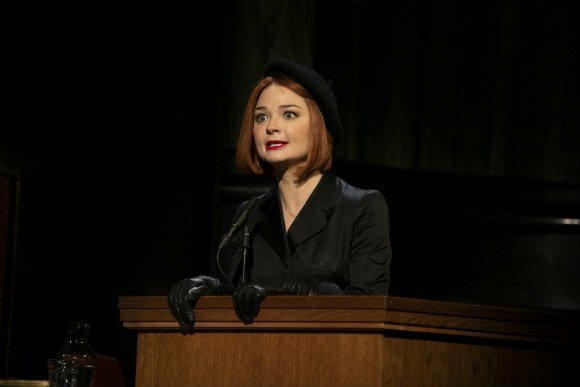 The Daily Mail calls it “Criminally good” and says “The queen of cunning has been brilliantly served”. The Arts Desk calls it a delight, confessing to being guilty of a good night out. We're all set for a show that entertains, amuses and unsettles in the exact way Christie intended. This is a complicated crime drama, with admission restricted to people aged five and older. Children under five won't be admitted. Typically Agatha Christie - so very written. Performance was excellent although hearing the actors was a little difficult at times. Staging was 10 out of 10, the venue added to the staging. Balcony seats were very uncomfortable, a cushion would fix that though. All in all, well worth it. Brilliant. An enthralling performance. Must see. It's was an awesome show, great acting, smooth stage management and set changes. Really great. 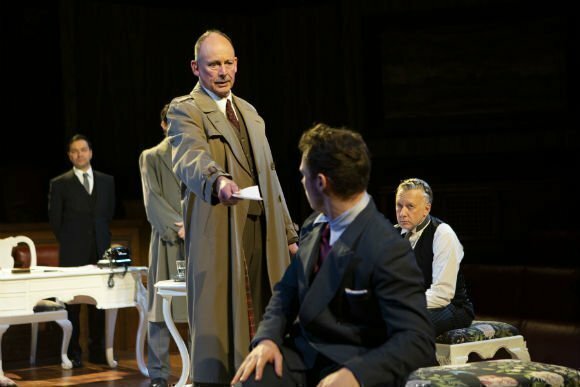 The setting and set changes were good but the play had to many modern touches which wouldn't be around in the forties or fifties when this play (book) was first written. Also to many comedic moments. After all, it is about a murder. I read the book a long time ago, so I had a general knowledge of the plot, but even with that I had a few surprises! The actors were all very good, the stage is strickingly on point, ant to top it all, very comfy! Worth every penny! Lovely venue - perfect for courtroom drama and comfy seats (stalls) and airy atmosphere. Excellent acting, engaging plot and brilliant twist at the end. The only slight annoyance was Vole’s wife’s accent which veered from South African to Indian despite her being portrayed as German but a minor point in an otherwise excellent performance by all the actors. The acting was excellent. By the interval there were at least 3 ideas forming about what the ending might be so plenty to discuss. Scene changes were excellent too and very quickly done. Don't miss this wonderful show! Fantastic script, wonderful acting, amazing location. 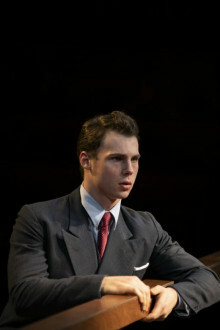 Fitting the play into a "real, old" room and having the stage integrated in the audince was an interesting experience. Well done. Good, although we had restricted view and there are pillars but we could see most of the show. Given this is a courtroom drama it's more about the dialogue anyway so it didn't spoil it. Some of the speech was very quiet so could do with better audio. However would recommend, was worth the money (cheap seats!). Very good show with a twist at the end. Excellent acting and stage effects. Picked up speed all the way through not a boring moment. Good atmosphere changes in every scene. Altogether a good time had. 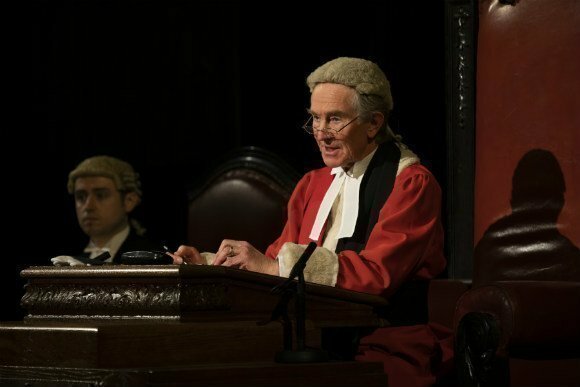 Courtroom drama with a twist.The LCC building is iconic for those of a certain age,seating in gallery was restricted view but did not ruin entertainment,would recommend to all that like a whodunnit. It's Agatha Christie at her finest and that says it all. 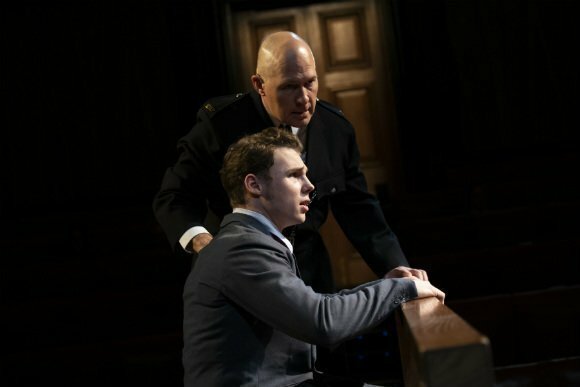 The theatre set-up is very fortunate as the seats are laid out as they would be in a real courtroom. The actors would enter from between the audience's seats and that integrates the spectators into the sow. Nice touch with the jury! 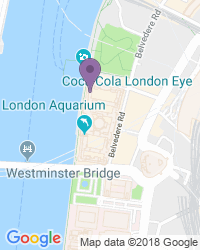 It is must see if in London! Loved the show, loved being able to take drinks from the bar into the theatre, and loved the ability to pre-order drinks for the break. Only one complaint- it was HOT and humid. No ventilation. Loved watching the great performance, but had to wipe sweat out of my eyes a lot. Totally captivated from start to finish in this fine, fine production. I think Agatha Christie herself would have delighted in the setting. 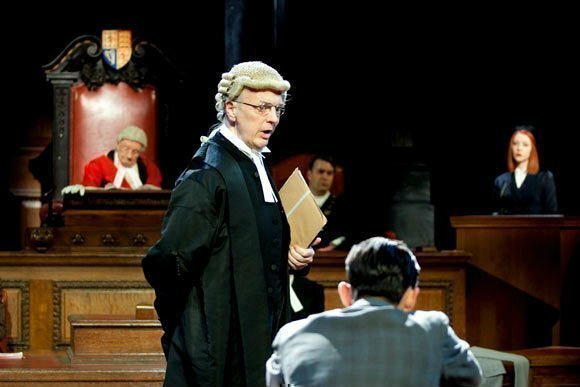 Loved being part of the court proceedings which was achieved by actors very skillfully addressing and including the audience from time to time. Am recommending to friends and family as a definite must see! I like not to think while watching Agatha Christie stories. I just let the pieces of new information flow fluently completing the whole picture of puzzle. This show was exactly like that. Fluent, interesting, no weak places. The story kept my attention 100% from the begining to the end over two hours. The story had twists in it so that I ended up with my mouth open. Watching Agatha Christie stories (played by professionals) can never be a disappointment. As a proven theatre goer this was something very different. Acting and storyline were fantastic. Beautiful setting and building. Would recommend to all without hesitation. A great play with very talented cast. Interesting theatre. Had a great evening. My experience of the show was ruined by the obstructed view from the gallery. 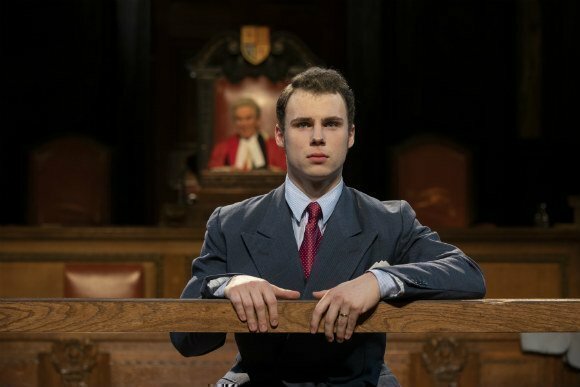 Excellent play, fantastic setting County Hall was ideal as it had a real courtroom and added to the atmosphere. The Actor who played Leonard Vole was a bit weak, and at times inaudible. Christine Vole's acting was a bit over the top. Otherwise a pleasant enough play, good use of the County Hall Chamber as a setting. Not a good idea to sit in the gallery any further back the row B, you're unlikely to see much of the action. Perfect setting for this courtroom drama. 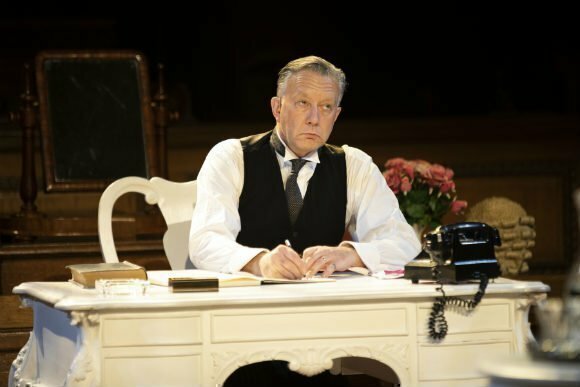 All actors brilliant with faultless delivery of this tremendous Agatha Christie plot. 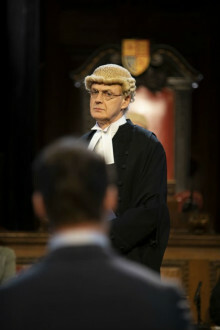 If you go to this show try to get seats opposite the judge's chair for best view of all the action. Excellent all round show. Brilliantly performed and setting in court great. Lovely building for the show to take place. 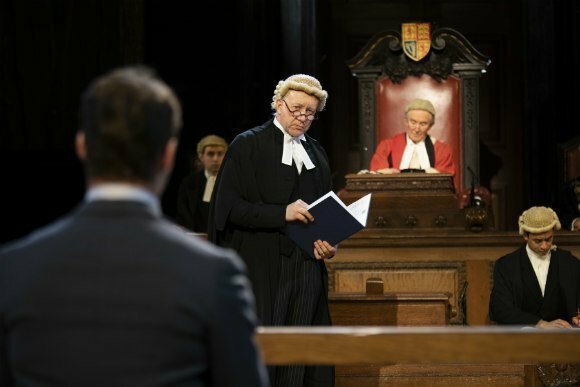 Use the search box at the top left of this page to search for Witness for the Prosecution by Agatha Christie tickets availability.